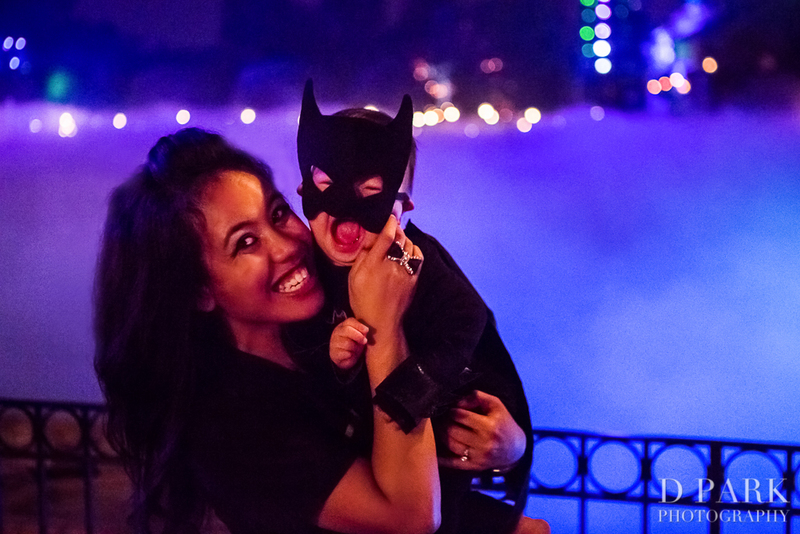 Continuing on with our special column from our photographer Drexelle and her little DisneyExaminer Knightly, we continue the “Adventures of Mommy Mouse and Baby Knightly” with some answers on how Mickey’s Halloween Party might be a viable option for you and your child to enjoy a not-so-scary holiday – together! 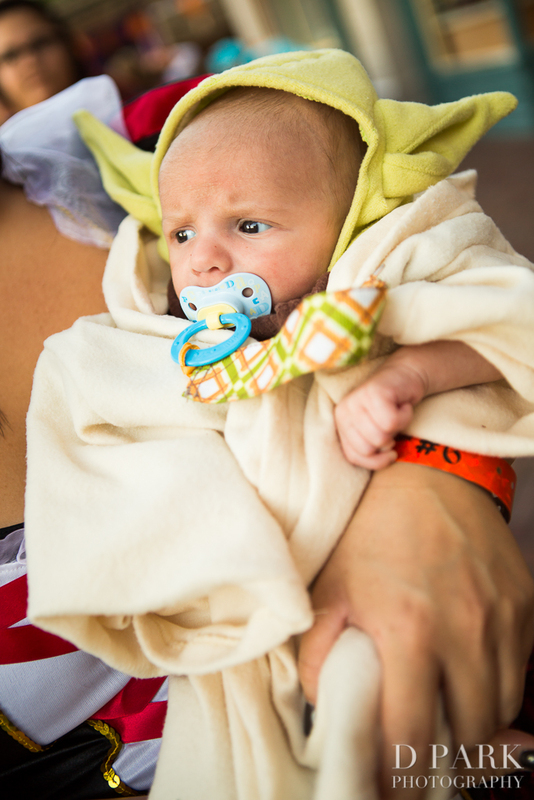 So…what to do with your baby this Halloween? 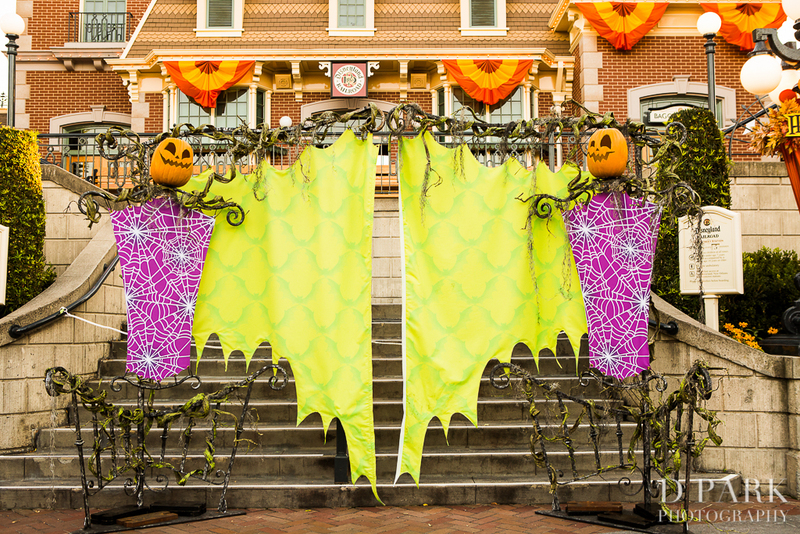 CHECK OUT Mickey’s Halloween Party over at the Disneyland Park! 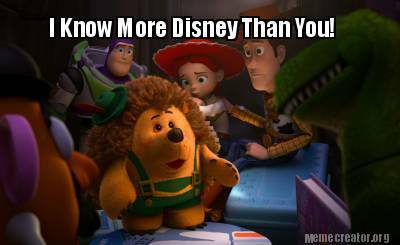 If there’s one thing you can count on for the holidays, it’s Disney. Because they know how to celebrate holidays right. Especially with a holiday known to be spooky and loud, they are able to transform it magically to be family fun and friendly even for your little one. 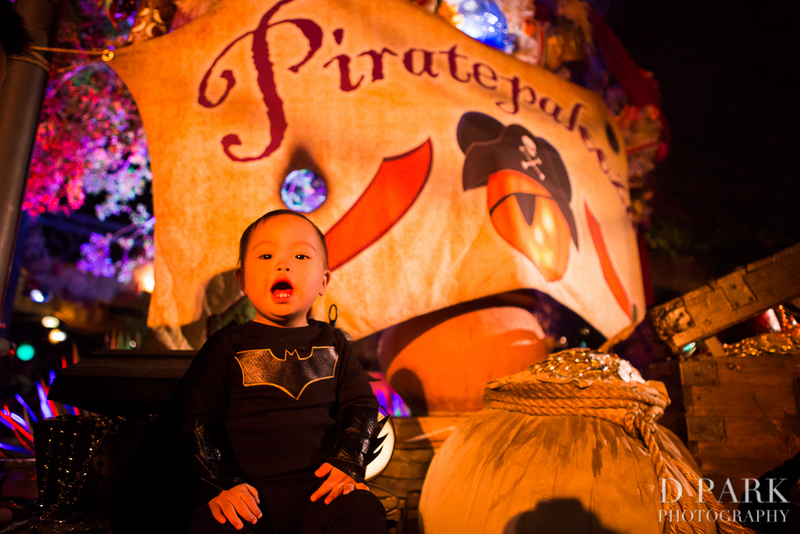 so what is Mickey’s Halloween Party? 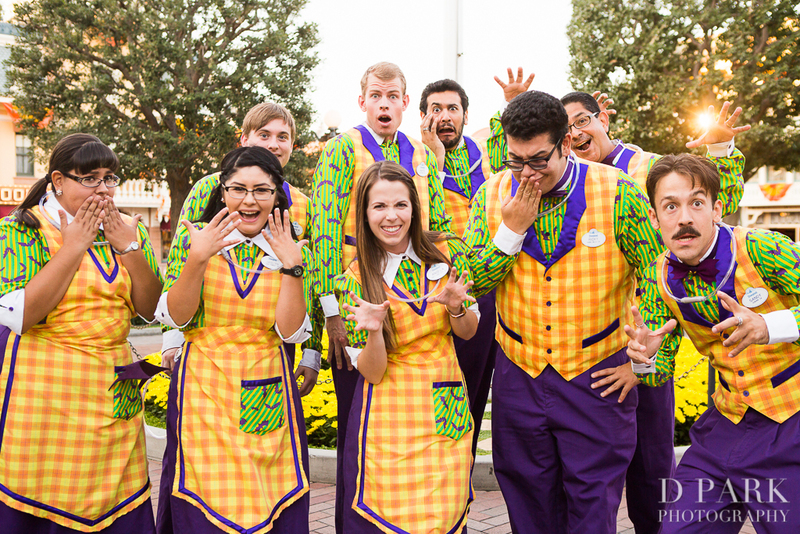 An exclusive special event only for people wanting to celebrate Halloween, Disney style. 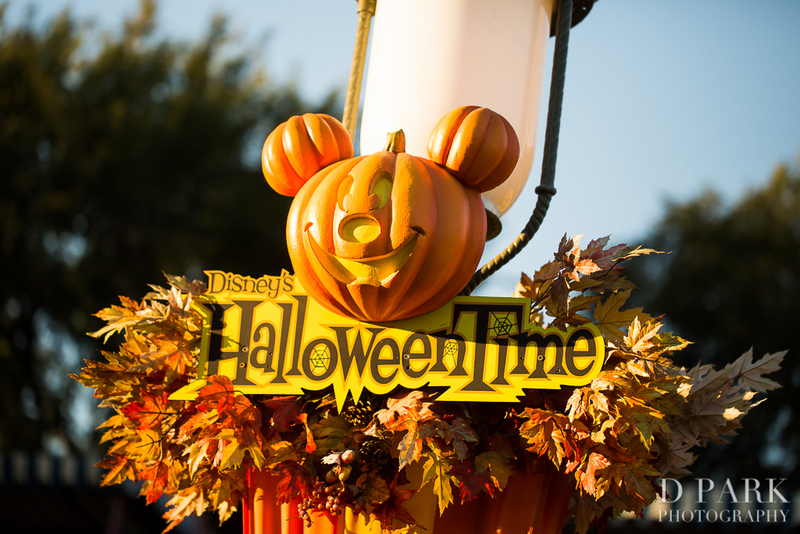 For the month of October, Disneyland Park (sorry not California Adventure) gets the evening saved for just Halloween Party members. 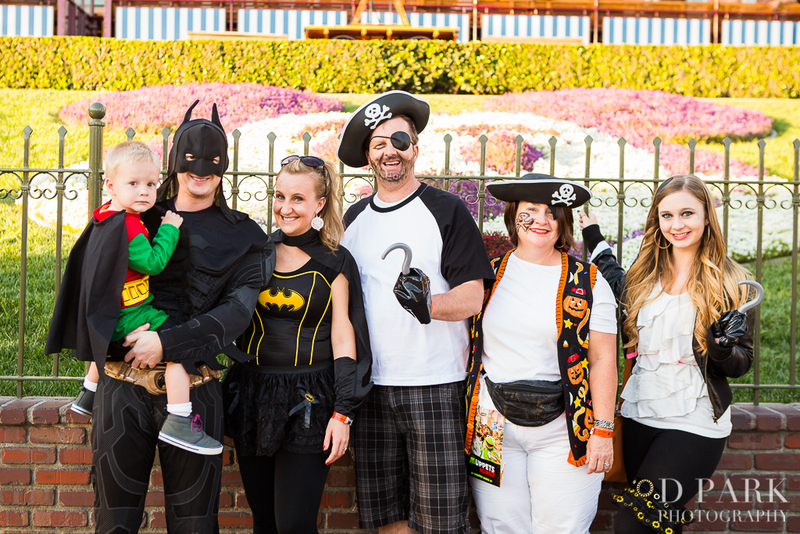 You and the family are allowed entry into Disneyland 3 hours before the Halloween Party so you get to enjoy some fun time around Disneyland Park. 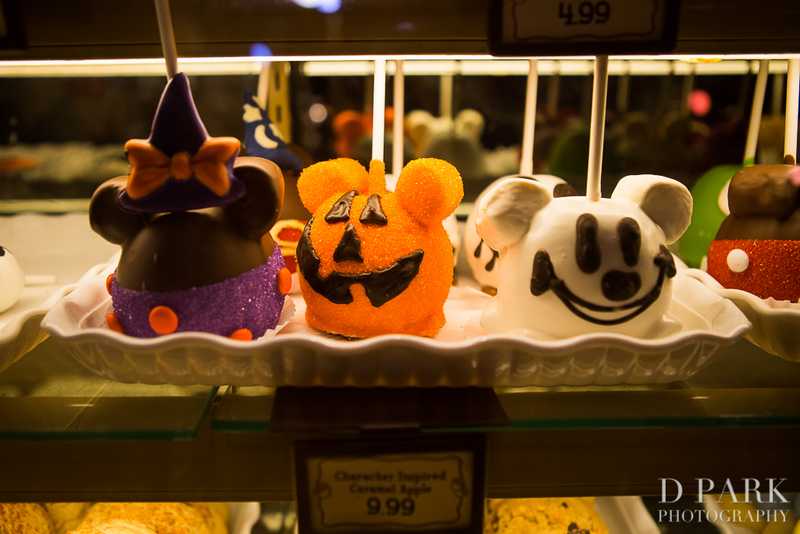 It’s Halloween – Disney style. first thing’s first – what to wear? Beware: You could be denied entry if you break any of the rules or if anything. And, also, if you look like a character, you’re not allowed to pose for pictures or sign autographs. But what to dress your baby up as? There are TONS of places that now have costumes for babies. Some easy places to check out: Target, Amazon, Costco, Etsy and any local costume shop. 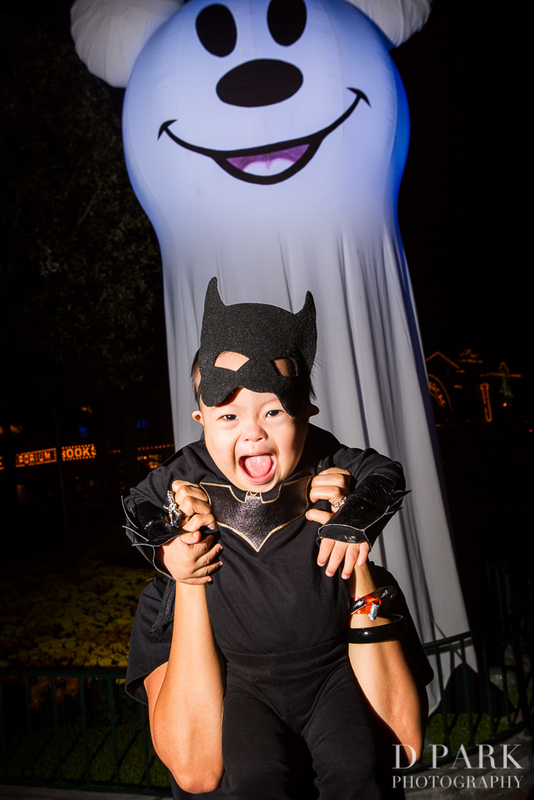 This Mickey’s Halloween Party has costumes for the tiniest of babies. We racked our brain as to what to do for Knightly. 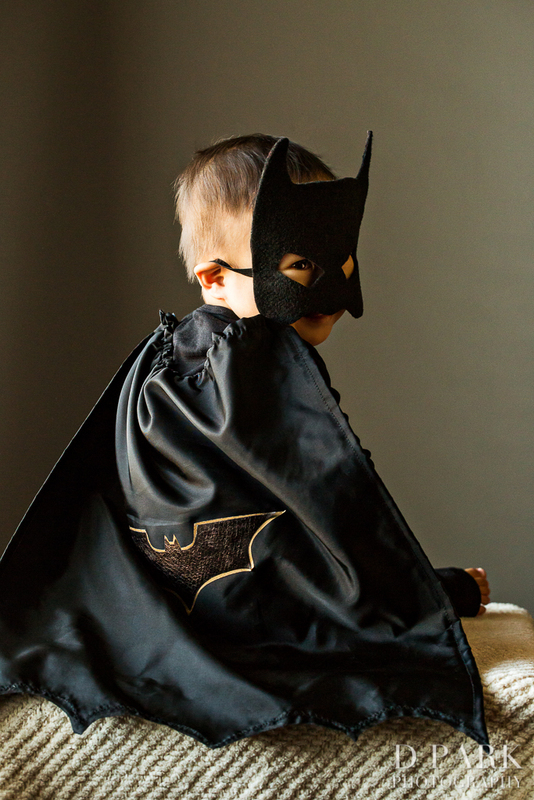 …what’s a perfect Halloween costume for our little baby knight? But what should you dress up as? So if you’re like us and just couldn’t find the perfect outfit in time (and, seriously, you have a million other things to do) – you can go easy and buy an easy-to-wear t-shirt matching your kids outfits (there’s plenty in nearby Targets (on sale!) and costume shops). And, as we’ve shown, you don’t need to dress up Disney for the evening. There’s plenty of variety around the park. Though we wrestled with the costume choice not being Disney, we knew it’d be perfect for Knightly. 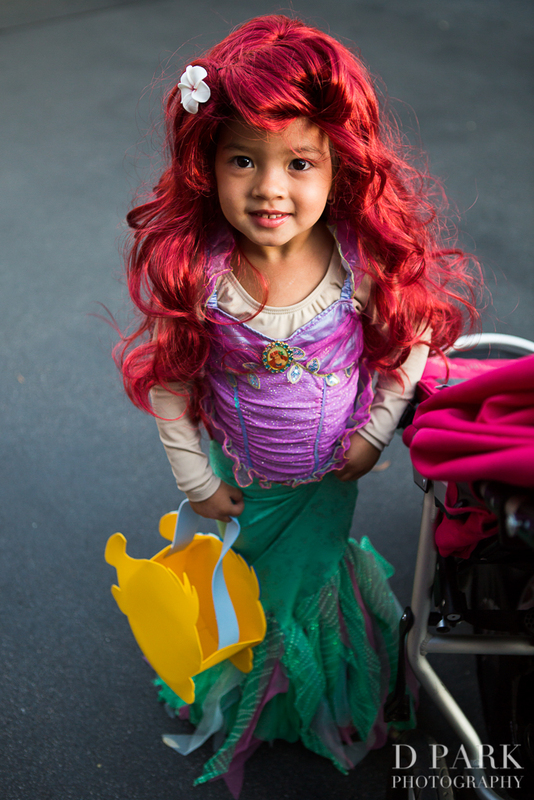 But if we ever get a little girl, she’s going to have to be a princess. She has no say in the matter. They’re too stinking cute. They don’t have the cheap, generic, where-in-the-world-did-that-come-from candy? They’ve got the good stuff! M&Ms, twix, snickers, goodies from Clif and – Knightly’s personal favorite – the no-preservatives, no sugar added, gluten-free, dairy-free, nut-free, (apparently danger-free) yummy FRUIT CRISPS! 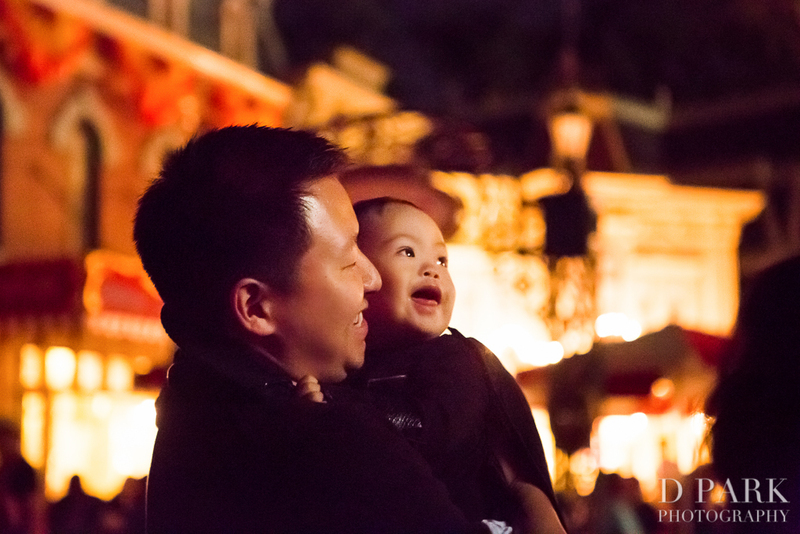 Disneyland is made over for Halloween and your baby will not be able to help but just stare at everything in wonder. 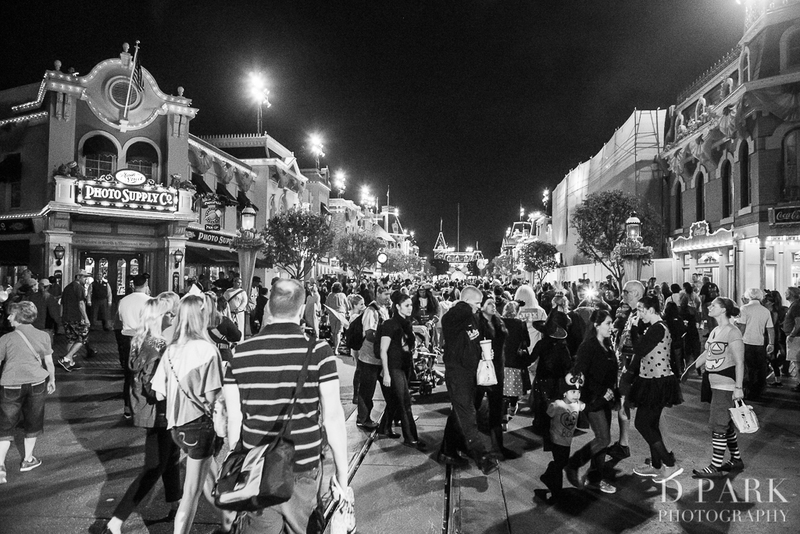 Fun Halloween music and lights and decor fill the park as soon as you stroll down Main Street. 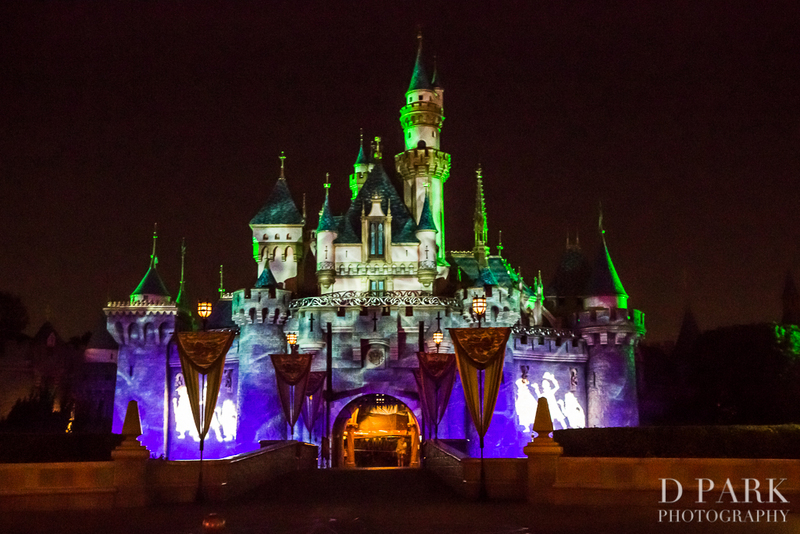 And the CASTLE is gorgeous – ever changing to the Halloween music and theme playing in the park. 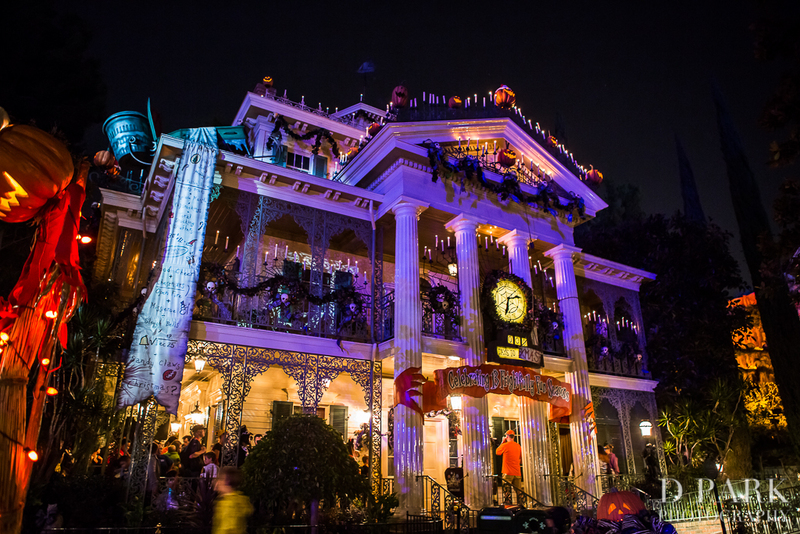 For Halloween (whether or not you’re at the park), you can enjoy the Haunted Mansion holiday inspired by Tim Burton’s The Nightmare Before Christmas, a friendlier, playful spooky ride for the kids to enjoy. Beware: There’s still a scream in the elevator ride up but you won’t get as much of a spooky reaction as soon as the elevator opens up to enjoy. Enjoy the monster scare-off with Mike and Sulley at the Monsters U Dance Party at the Tomorrowland Terrace that’s played 4 times in the night at 7:45, 8:45, 9:45 and 10:45PM. 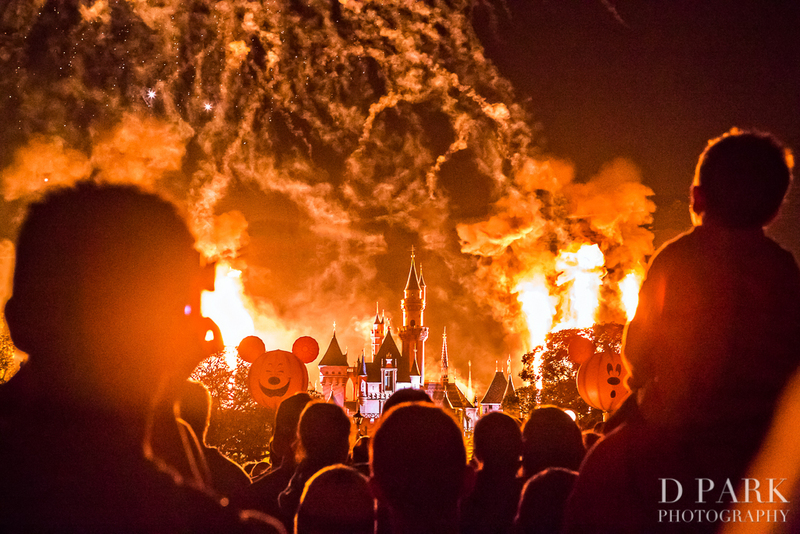 One of the BEST fireworks shows out there (we think) is the Halloween Screams – A Villainous Surprise in the Skies Fireworks. 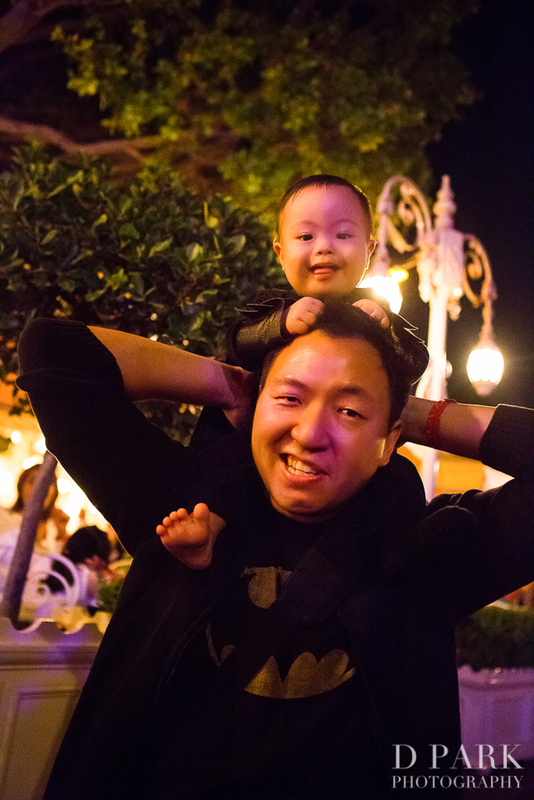 Be greeted by every Disney villain in song and lights and fantastic fireworks for what will surely be a mesmerizing experience for your little one. For sensitive to noise/lights babies | Knightly is typically very sensitive to loud noises so we were scared and positioned ourselves near the exit, just in case we had to bolt with a screaming baby. But as soon as he saw the lights and colors – he started laughing! He LOVED the show. So don’t rule out the show just because of noise (but be prepared with a backup plan in case that does bother your little one). 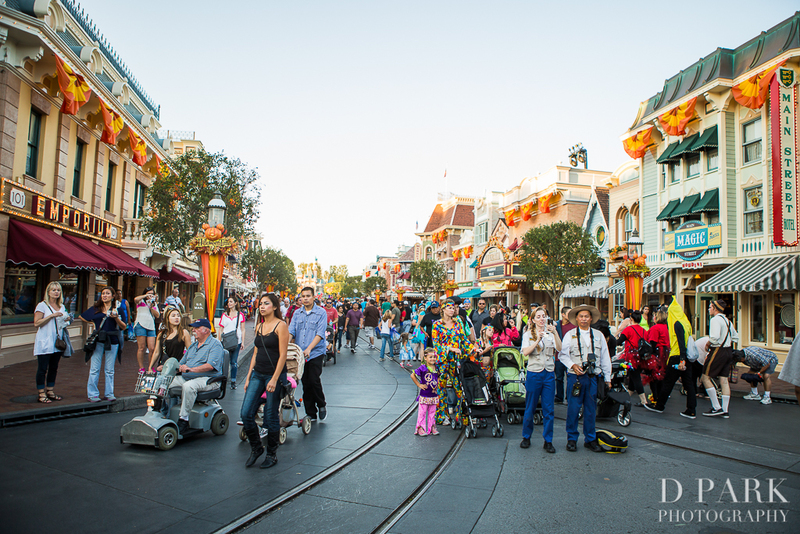 Watch your stroller | This is the prime time for strollers to get stolen/mixed up/lost. Keep it nearby or have someone watch it (or have an obvious obnoxious sign/decor to show that it’s yours to differentiate it from other strollers). 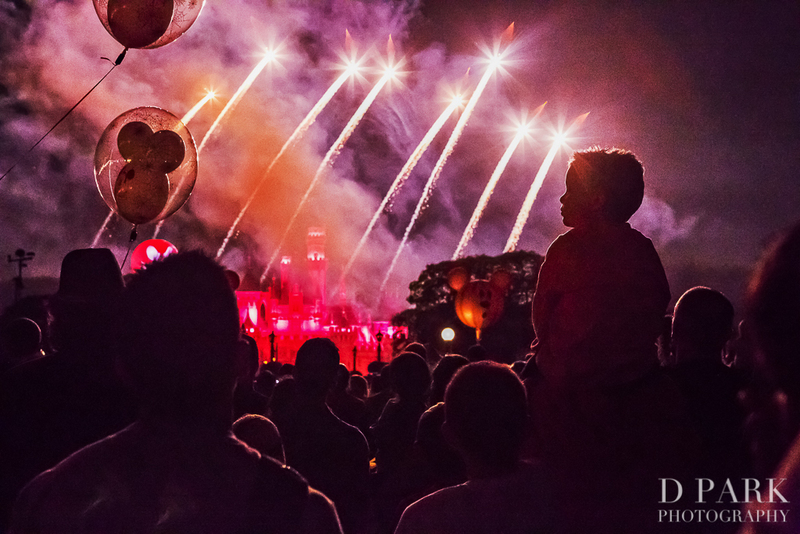 How to avoid the mob exit | After the fireworks show, move to the side as quickly as you can. Avoid the mob exit out of Disnelyand and the long tram lines by just waiting 10 or so minutes on the sidelines while everyone leaves. Give yourself an opportunity to get photos at places that previously had long lines (not character line up as those will close down). You can see more in Mickey’s Costume Party Cavalcade that appears twice at night at 8:30PM and 10:30PM. There are various decorated stations throughout the park that give the perfect opportunity for photos with your little one. 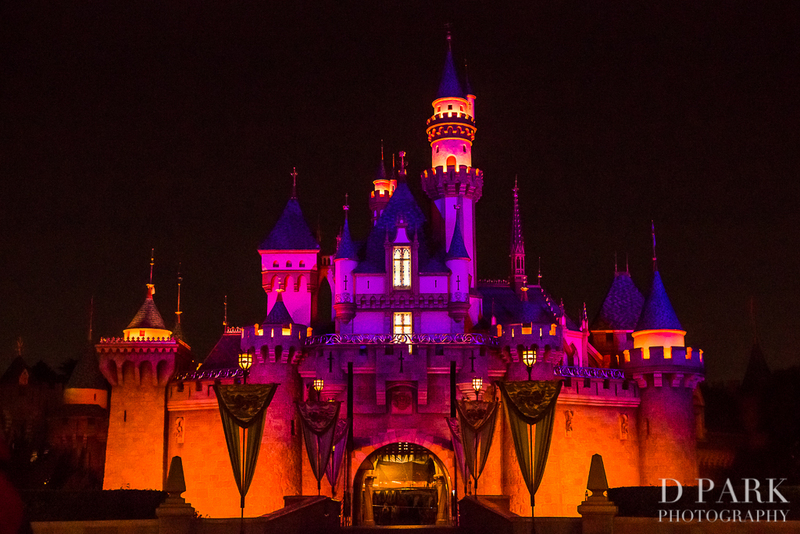 Before the sunsets, enjoy the castle! The castle is blocked off for fireworks so you can literally put your kid right there and take a great snapshot in their costume. Come before the sun sets. Place your baby right up front. 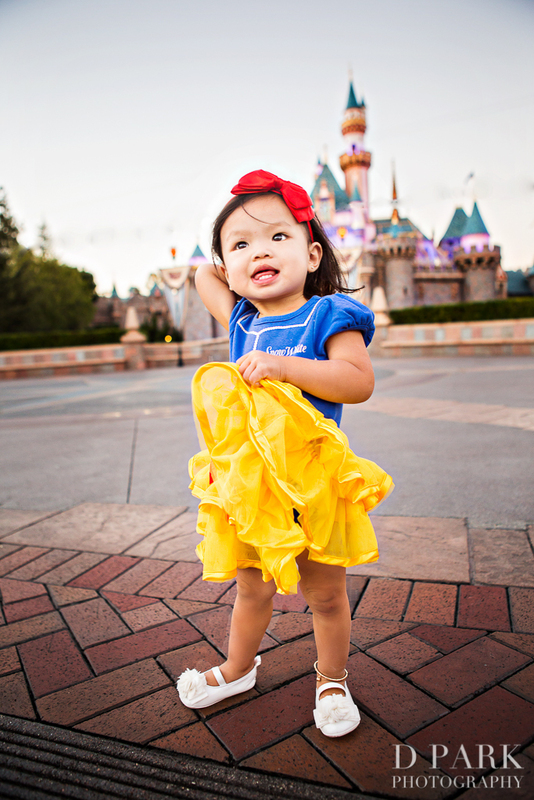 Take a photo from a low angle pointing upwards to get a great shot of your kid looking like they’ve got the castle all to themselves! 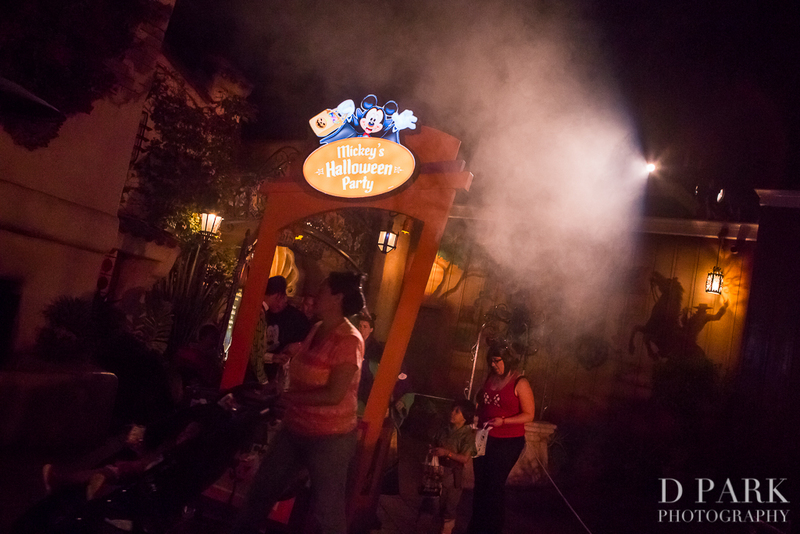 Take advantage of environments Disney offers for fun Halloween style photos. 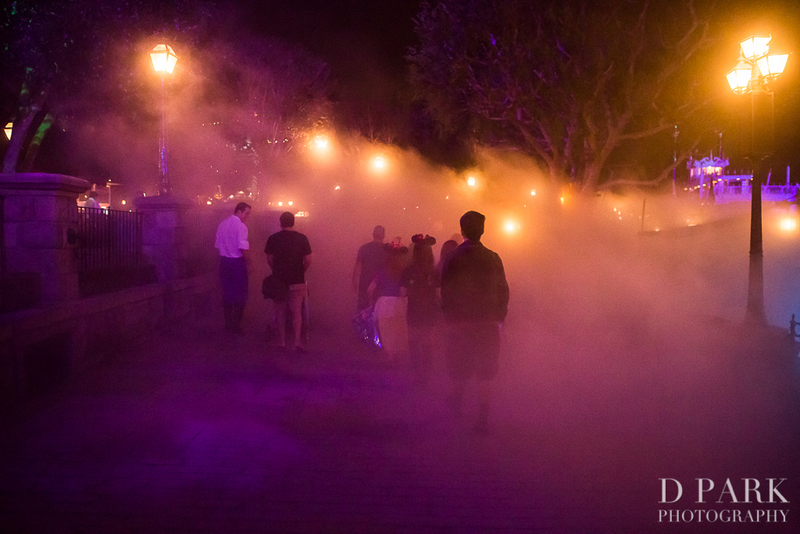 You can enjoy the Cadaver Dans, a ghoul quartet that floats on a river of fog as they sing in Rivers of America 4 times a night: 7:45, 8:45, 9:45, and 10:45PM. 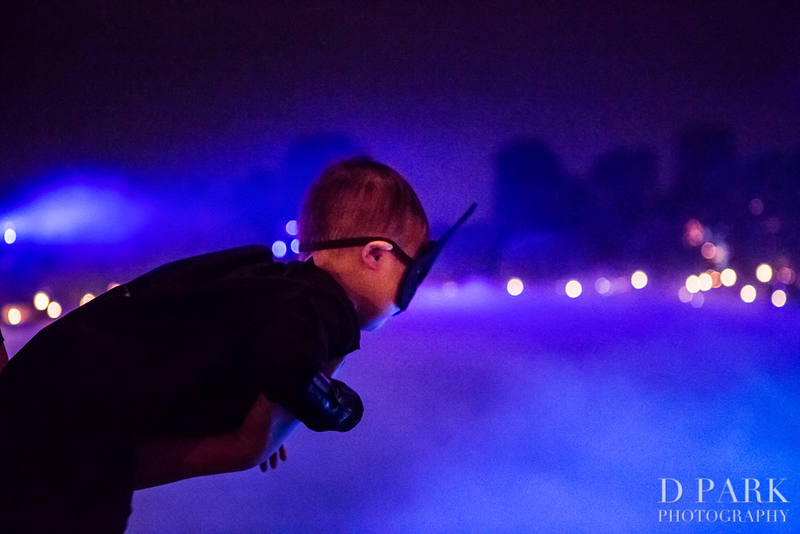 Then, after the rad fog gives plenty of opportunity for fun photos with your baby! Don’t put on the costume ’til you get there (or after eating) | Avoid messy food stains and fussing so they’re comfy ’til they’re there and in awe of the place enough not to mess up their costume. 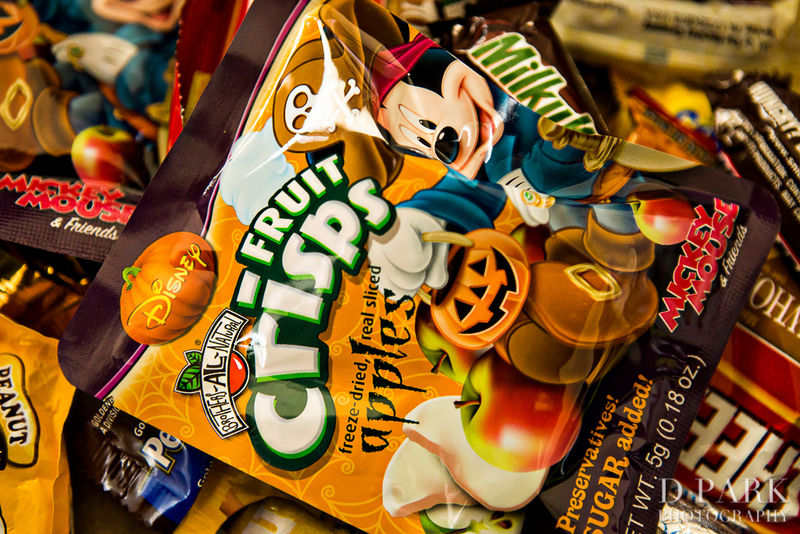 Bring your own Halloween bag for candy | Disney will provide some for you but they’re tiny little things. You want a good one that’ll be easy to just put onto the stroller and that can carry lots of goodies! Eat only a few treats | There are tons of Halloween themed treats around the park as well as the trick-or-treat stations and you can keep piling it on. Seriously, we filled and actually broke a double stroller last time in a competition to fill our bags with candy. You don’t need to do that. Move on. You’ll be okay. 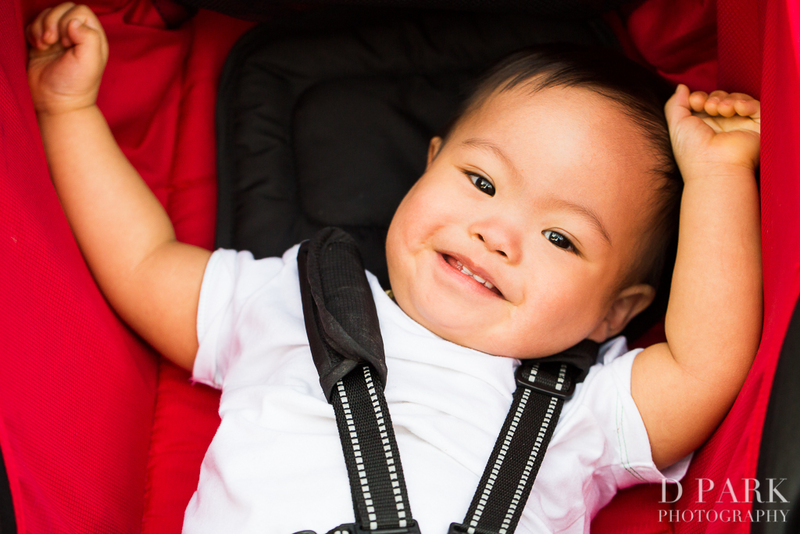 Allow naptimes | When your little one’s tired, let him/her take a nap and take a stroll to just enjoy the park. Eat prior to the party so you can enjoy the snacks and how quickly the evening will fly by! 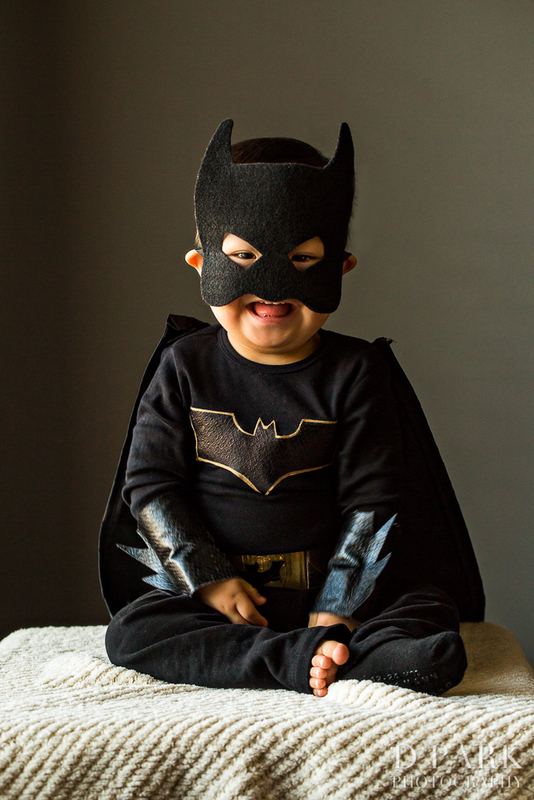 And maybe don’t get a masked costume for a baby that doesn’t want to wear masks. Regular pricing is $74/ticket. 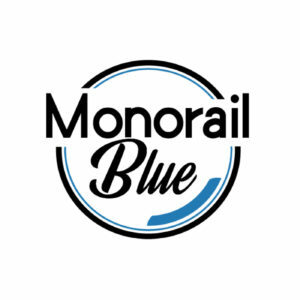 But you can always sign up earlier to get discount prices for select nights. 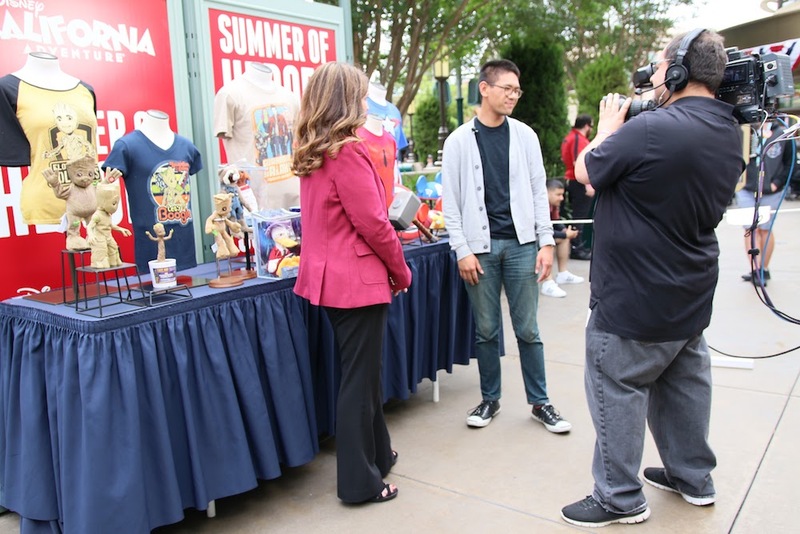 Annual Passholders can even save up to $16 per ticket. 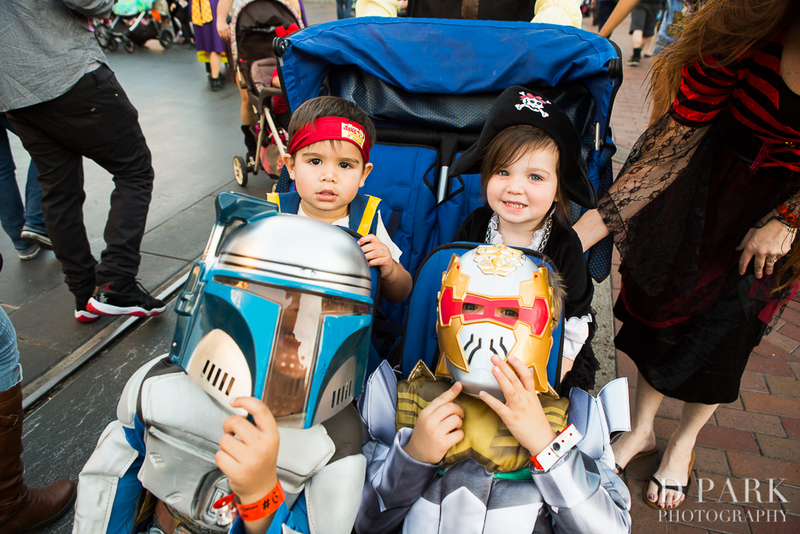 But the only date left is October 30 – so book them ASAP online with Disneyland here. Have a happy, safe and magical Halloween everyone! P.S. 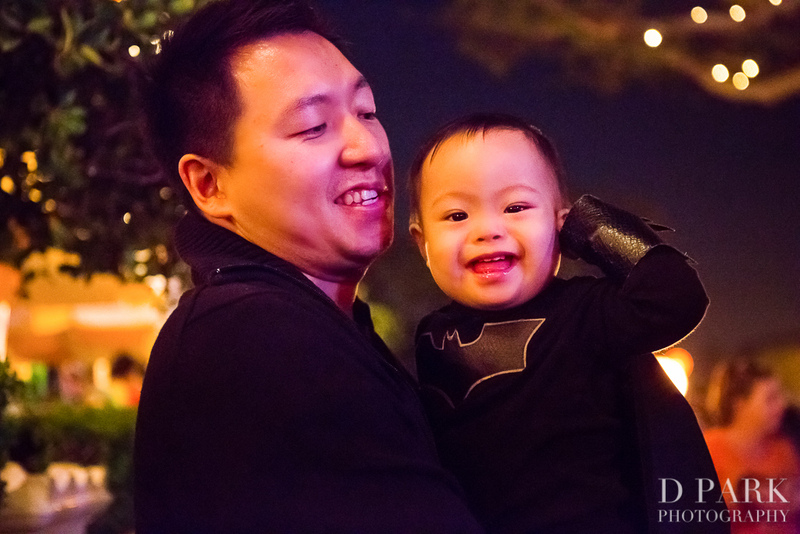 Special thank you to Becca + Mike, our awesome Disney bride and groom, who gifted our baby Knightly with an amazing experience at Mickey’s Halloween Party! It was awesome! Previous story The DisneyDozen Holiday Gift List. Check it Twice. Next story Gingerbread Faces of Jack.